It appears that some users are reporting problems with the screens of the iPhone 5, which is normal when you consider that there is usually a small percentage of defective devices. 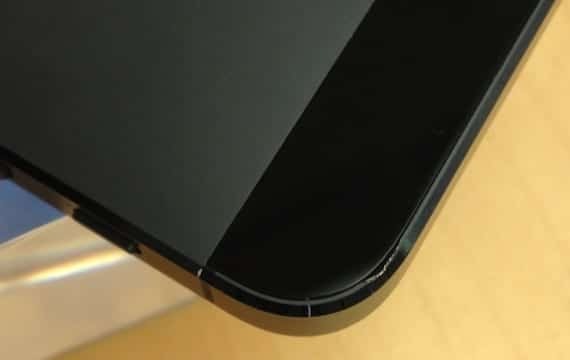 However, in different forums is reading a problem that affects many users and according to which, the housing of the iPhone 5 could be damaged. This is particularly noticeable in the black model, which has structural damage, loss of color in the anodized, scratches, teeth or even no major hits in some of the newly released terminals. For white model there are problems but they are much more difficult to assess because it retains the original color of aluminum. Of course, many customers have returned their phones despite the shortage of stock after selling five million units. What is clear is that Apple has screwed up the background to boast an exceptional quality process has increased the price of the product but, as we can see in the first shipment of the iPhone 5, is proving just the opposite. We assume that a lot of users who have made a long queue to buy the iPhone 5 will not have been too happy when her terminal, still unused, aesthetic defects. Article Problems in the first wave of iPhone 5 housings has been originally published in News iPhone .